Ornametals is led by Guenther Huber, who was trained in his family business in Germany before immigrating to the U.S. in the early 1990s. 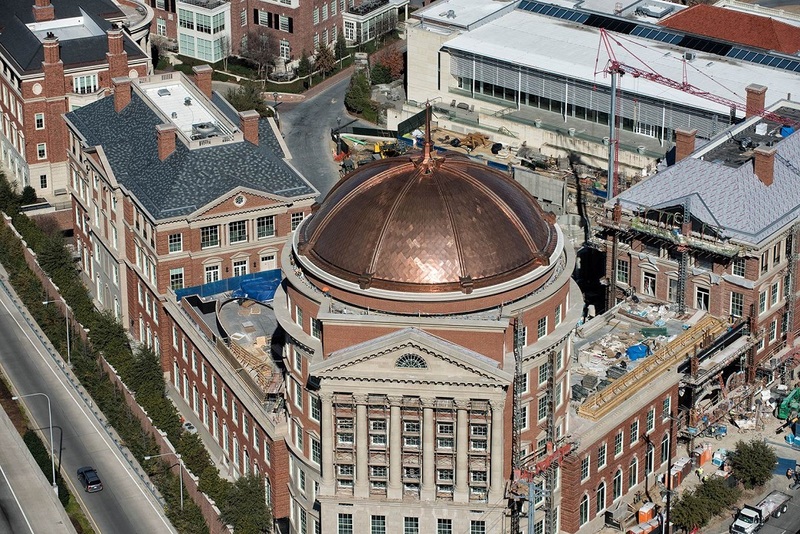 Guenther has more than 30 years’ practical experience with copper and zinc, specializing in the historic restoration field, and a legacy that precedes him three generations. In cooperation with it’s sister company Copperworks, Ornametals can do much more than sell rainware or ornaments. Ornametals offers custom fabrication of copper and zinc rainware and ornaments. Sometimes you can’t buy what you need, and we have the skills and expertise to craft anything you can imagine. Installation can be tricky for novices and veterans alike. Dimensions on paper almost never reflect reality, and setbacks can be a daunting difficulty. We pride ourselves in our ability to assess jobs and assist companies in tackling even the most difficult tasks.